'Avengers 4': Will We See Professor Hulk? Marvel fans today received what appears to be their first look at the newly assembled team of Avengers that will challenge Thanos in Avengers 4, including a version of the Hulk that looks a bit off compared to his cinematic appearances up until now. The concept artwork shows the Hulk looking mean and green, but slightly smaller than usual. He’s also wearing what appears to be a kind of super-suit. For longtime Hulk fans, this may appear to be the first hint that the Hulk will take on what is referred to as the merged Hulk or “Professor” Hulk persona in the comics. This takes a bit of background to explain. Anyone who has seen the Hulk in movies knows that he and Bruce Banner coexist as separate personalities within the same body, sometimes amicably and sometimes contentiously. When the Hulk emerges, he usually has childlike intelligence, which makes his destructive power all the more dangerous since he is prone to emotional outbursts and can’t easily be reasoned with. However, in the Hulk’s long history, there have been times when Banner’s own personality and intelligence has been partially maintained even when the Hulk emerges. At one point, there were even multiple Hulk personalities vying for control. Along with Bruce himself, there was the savage green Hulk and the gray Hulk, who displayed about average intelligence and operated at night as a Las Vegas enforcer named Joe Fixit. Bruce’s friend, the psychiatrist Doc Samson, attempted to help Bruce by working through Bruce's feelings about how his father killing his mother. This brought a new order to Bruce’s mind, allowing all three personalities to merge into one, theoretically idealized form. 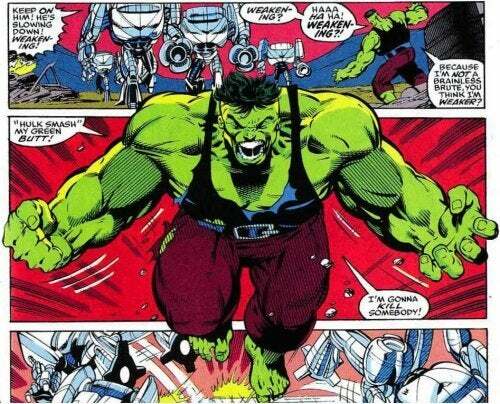 The Professor’s physical form was almost like the Hulk’s, though he wasn’t quite as large and kept a more human face. He also kept Bruce Banner’s intelligence and more sociable personality. 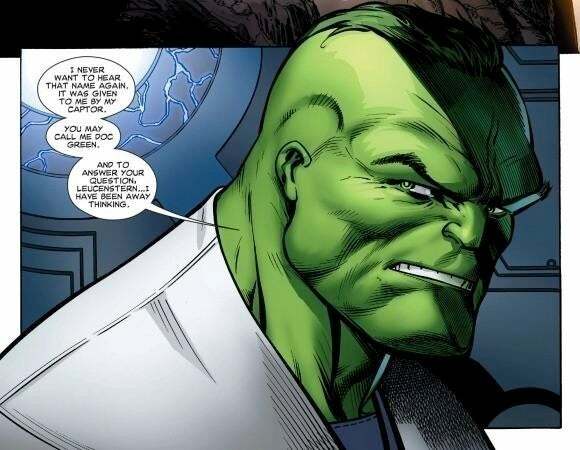 However, rather than become stronger as he got angrier as the Hulk usually does, the Professor would actually revert to Bruce Banner if his emotions got too out of control, a kind of safeguard that Banner and Samson installed to prevent the savage Hulk from reemerging. This version of the Hulk proved to be only a temporary fix to Bruce’s problems, but another, similar personality emerged much more recently. After the Brotherhood of the Shield tried to kill the Hulk, Iron Man saved Banner’s life by using the Extremis serum. This allowed Bruce to develop the Hulk personality known as Doc Green, who was super-intelligent even in his Hulk form. This was, again, a temporary state as Doc Green quickly realized that he was becoming less and less intelligent and would eventually return to typical Hulk levels. Since Extremis was introduced into the Marvel Cinematic Universe Iron Man 3, it is possible that it could be used in Avengers 4 to cause the Hulk’s change. Or perhaps Iron Man will just come up with some new concoction to help his science bro out with the problems he seemed to be having with his other half in Avengers: Infinity War. Avengers 4 is head for reshoots this summer. The film opens on May 3, 2019. Avengers: Infinity War is now playing in theaters. Other upcoming Marvel Cinematic Universe movies include Ant-Man and the Wasp on July 6th, Captain Marvel on March 8, 2019, the sequel to Spider-Man: Homecoming on July 5th, 2019, and Guardians of the Galaxy Vol. 3 in 2020.